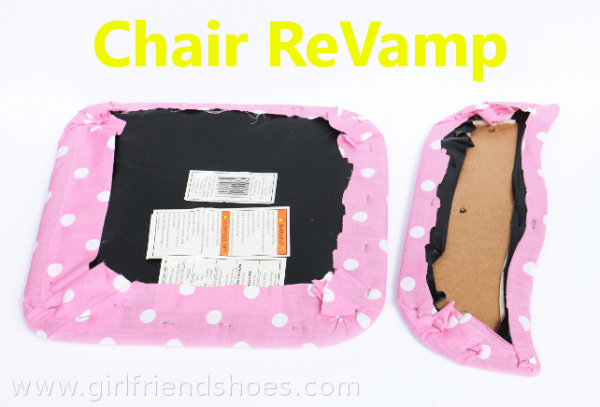 Another part to my in progress make shift home office D.I.Y �is an office chair. Not just any chair but one that matches my color scheme and personality. 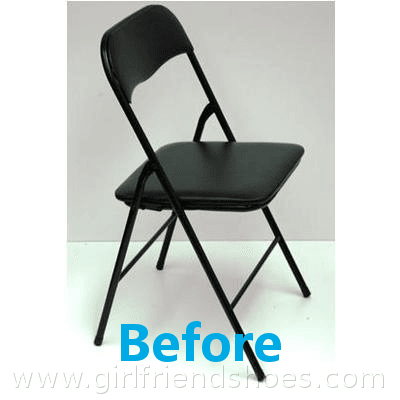 I started out with a plain old black folding chair that I probably bought for less than $15. 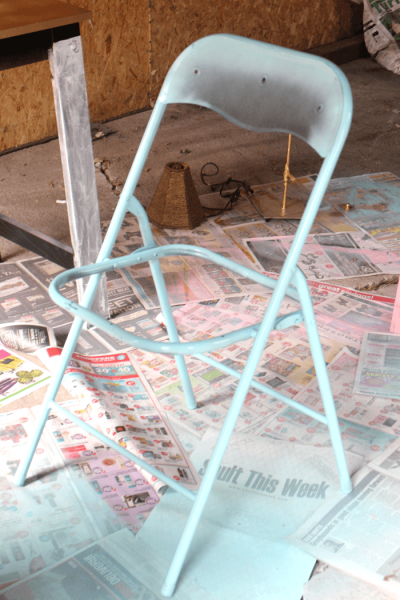 I unscrewed the back and seat of the chair and spray painted the frame. I then covered the seat and back rest with material from a pillow case I had. I only needed half of the pillow case to cover both parts. I screwed the back rest and seat back to the frame and am so excited at how cute my new office chair turned out. I just love it! I am working on my desk as well but am not quite finished it yet. I can’t wait to put it all together for the big makeshift office reveal. This was so easy to do I don’t know why I haven’t done this before. Share your favorite D.I.Y home office projects with us in the comments, I’d love to check them out. 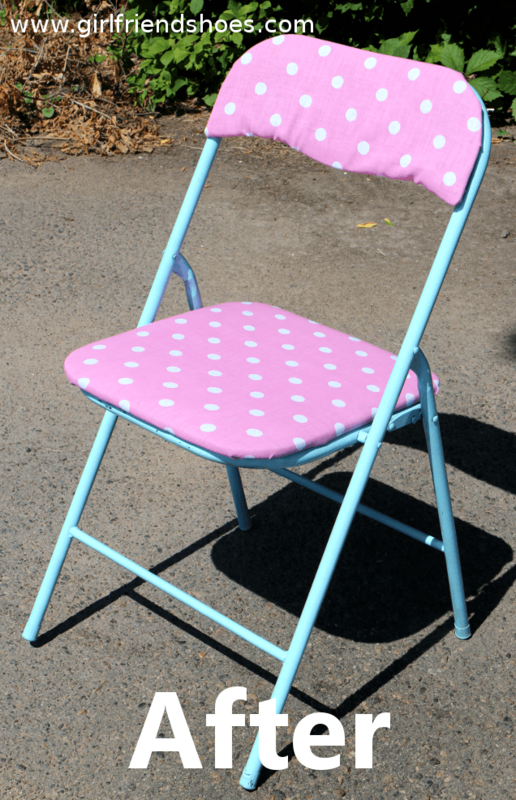 And, of course, let me know what you think of my cute new chair!